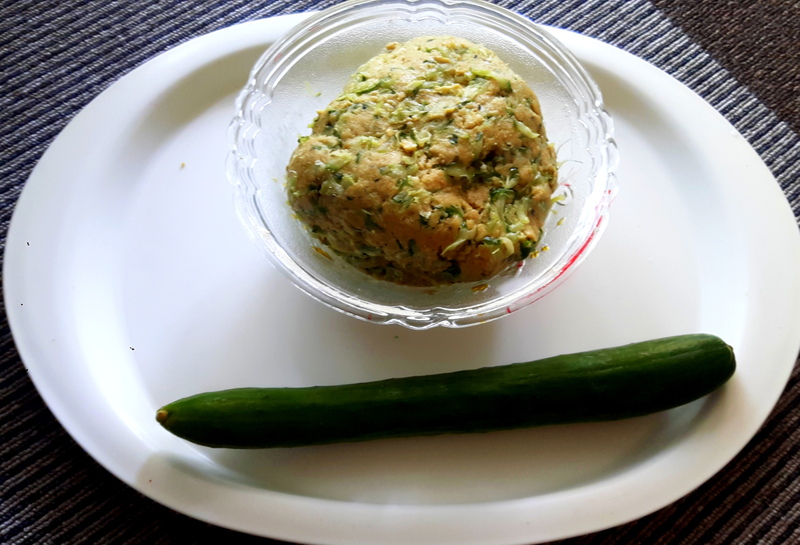 Grate cucumber with the help of grater /food processor; Take a wide vessel; put Besan, Aata, salt, Kalonji, and grated cucumber, Mix well, add small quantity of water (if required) to make the dough. (Grated cucumber contains water). 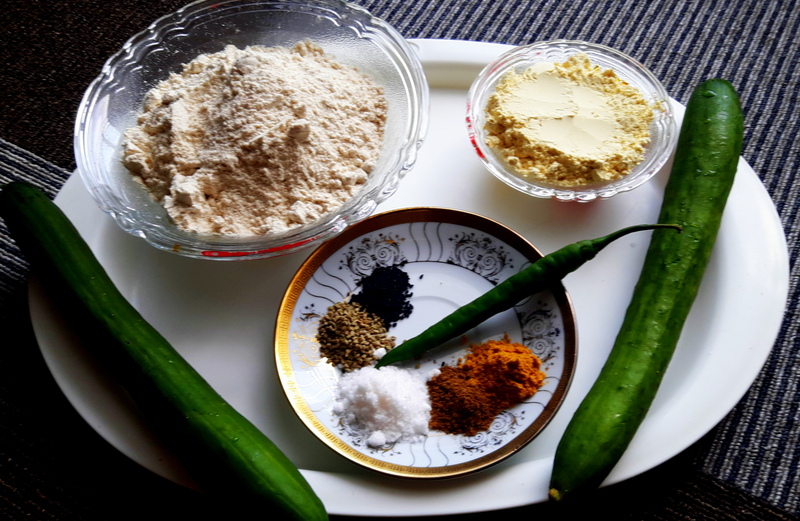 (The dough can be made in food processor also), Cover and Keep aside, to be used after 10 minutes.). Divide dough into 6-8 parts, make big lemon size balls, and Roll the ball in 4-5” diameter circle. 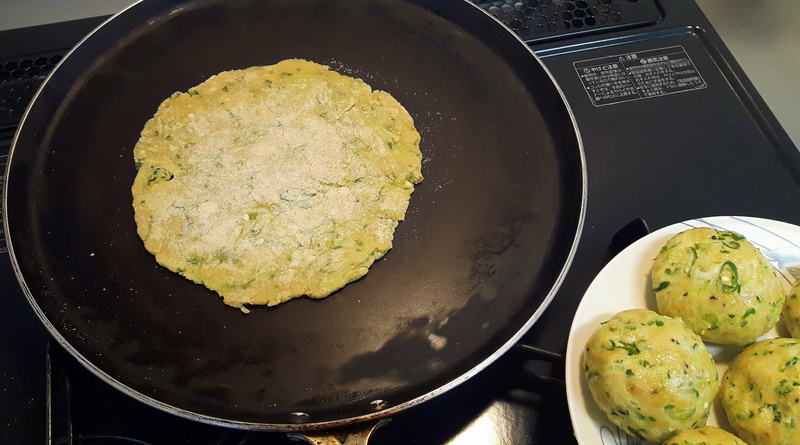 Now raw paratha is ready. 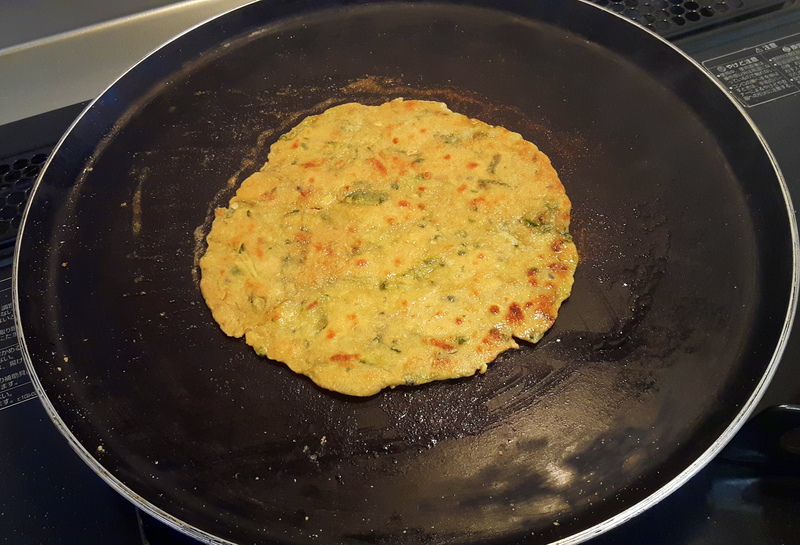 Place tawa (griddle) on oven, when it becomes hot; reduce the flame to medium, Place the rolled paratha on this. Cook for few seconds till it changes the color. 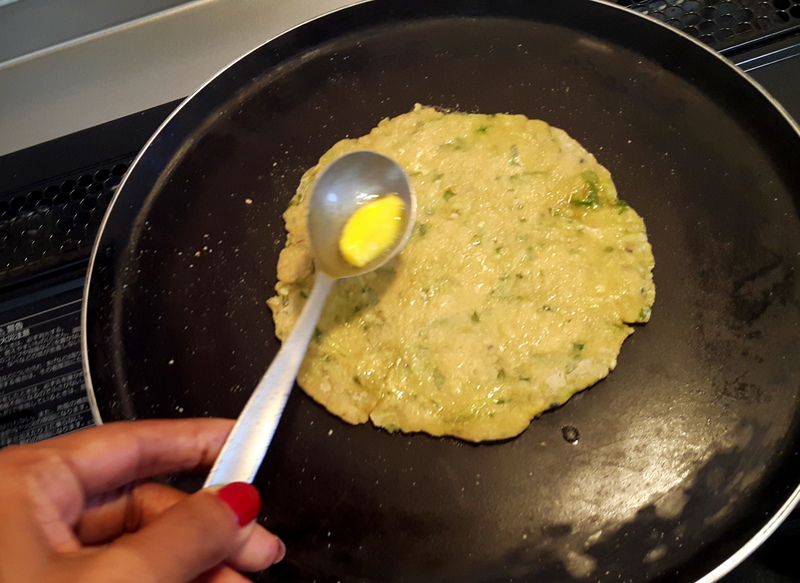 Turn the side and roast it by pressing gently by spatula, apply some ghee and turn it, roast both sides by applying ghee as well as pressing it lightly. 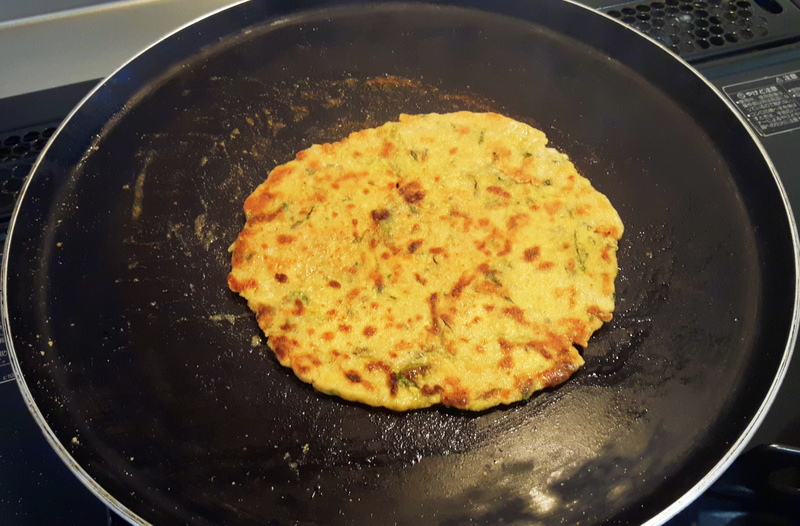 Take out the paratha from griddle. 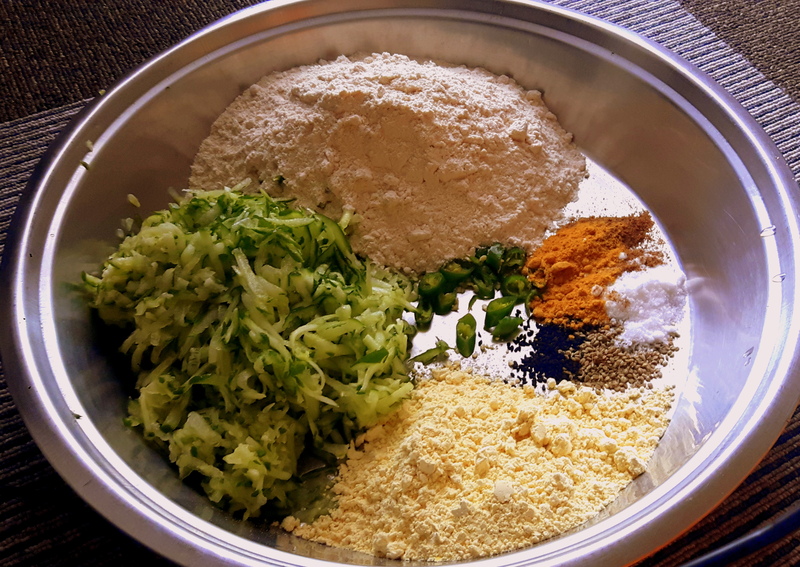 Serve either hot or warm with boondi raita, tomato salsa, radish chutney/Green chutney/ Gajar (carrot) & Gobhi (cauliflower) pickle. 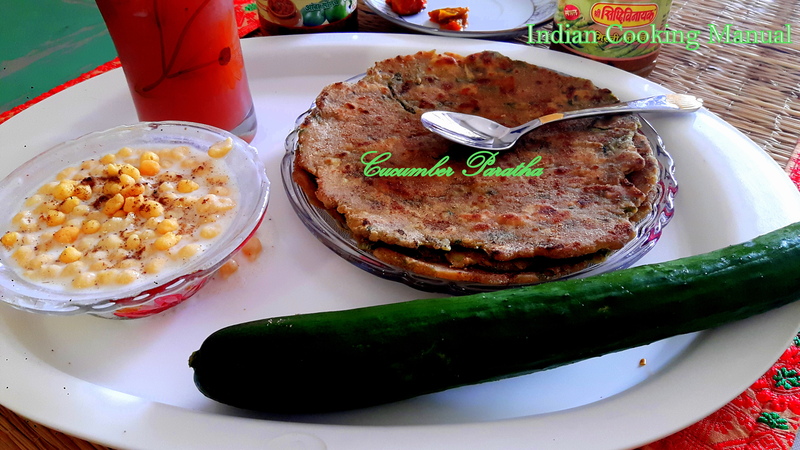 Yummy cucumber paratha is ready to serve. 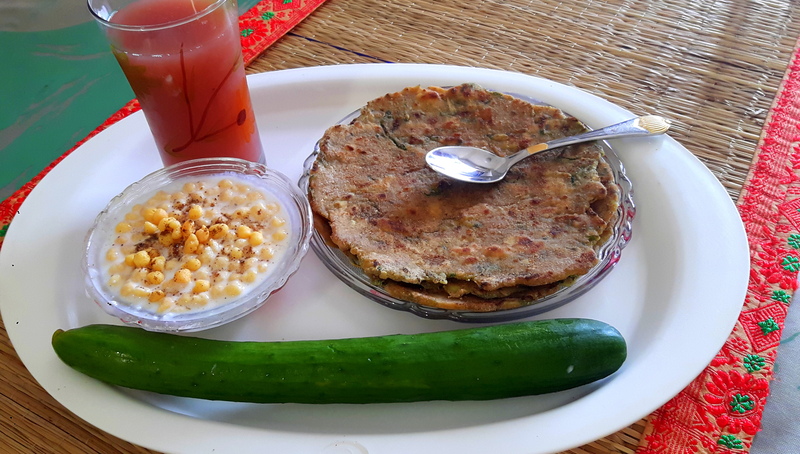 Cucumber paratha by Nag Ratna Sahu is licensed under a Creative Commons Attribution-NonCommercial-ShareAlike 4.0 International License. 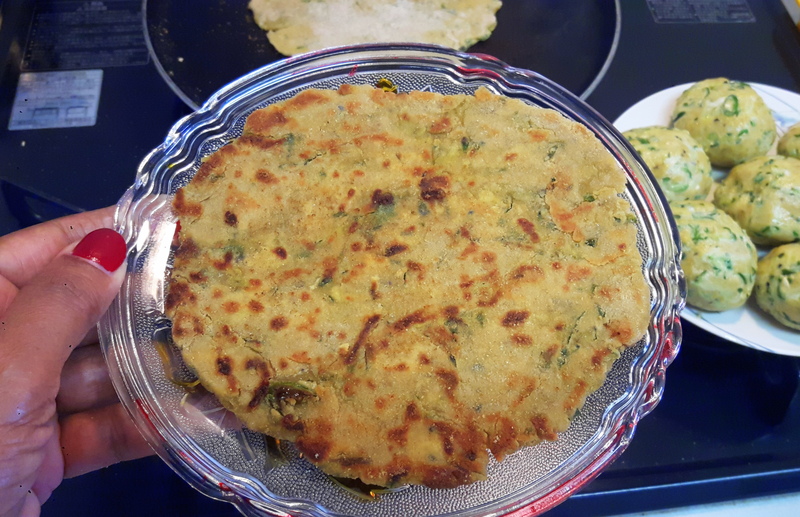 This entry was posted on Tuesday, December 4th, 2018 at 1:48 pm	and is filed under All Recipes, Breakfast & Teatime, Indian Bread (Roti,Paratha,Poori & Chapati), Indian Breakfast. You can follow any comments to this entry through the RSS 2.0 feed. Both comments and pings are currently closed.